Huge corner lot in an up-and-coming area. The builders are back, and this is a great time to get in before prices really climb. 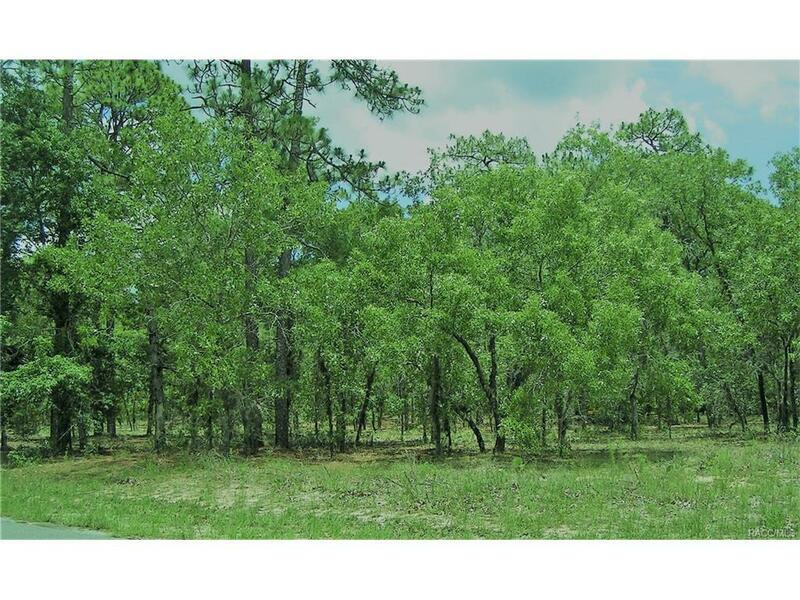 Level wooded lot that only needs a little clearing to build the perfect home. 2nd largest lot on the block, so there is plenty of room for any size home, pool, big garage, etc. Take a look up and down the street, and check out the lovely neighbors homes. Directions: N On 41 To Left On Citrus Springs Blvd, Left On Deltona, R On N Arcadia To Lot On Left.